Deveneys of Dundrum: Gouden Carolus Christmas 2010. Gouden Carolus Christmas is definitely the 2010 festive favourite. This comes in at 10.5% alc. but still remains elegant and beer-like despite having a German wine abv. This pours the colour of dark amber with a thin white head. on the market currently, apparently having a Santa beard or an Elf's foot on the label qualifies as a Christmas beer. This exudes seasonality. The nose smells like pink bubblegum and clove with aniseed and banana. The palate is aniseed with sweet fruit and some wood/pine flavours. This is a relatively sweet beer. Not Samichlaus sweet but definitely warrants a piece of Cashel Blue. Drink chilled or at room temperature. Labels: Gouden Carolus Christmas 2010. We love to see you! 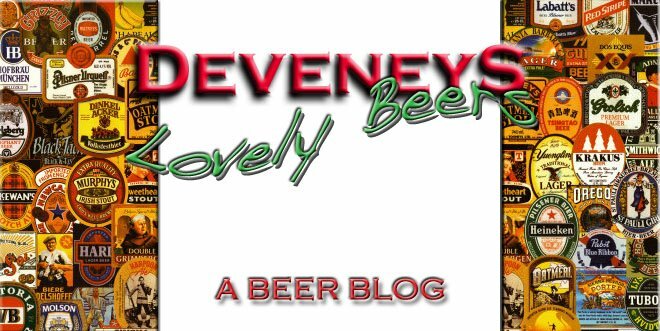 Here's our reviews of some of the best Craft Beers on the market, follow, comment, discard, at your peril. We're always happy to see you.